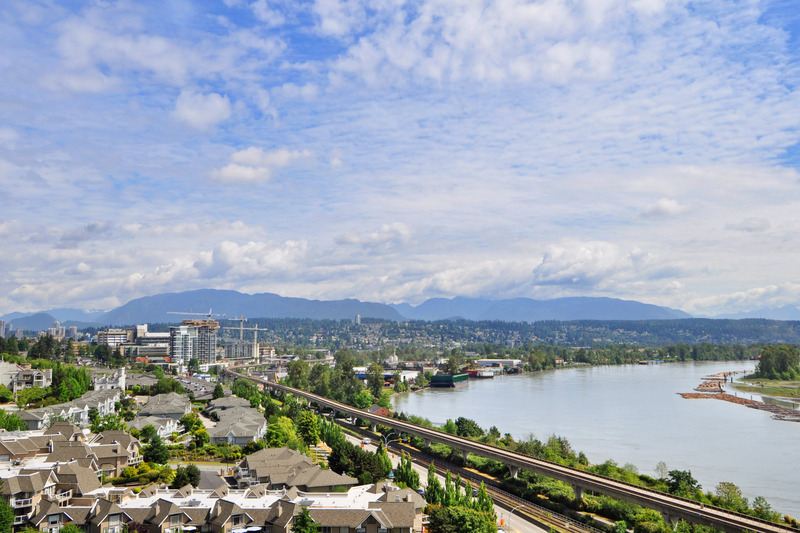 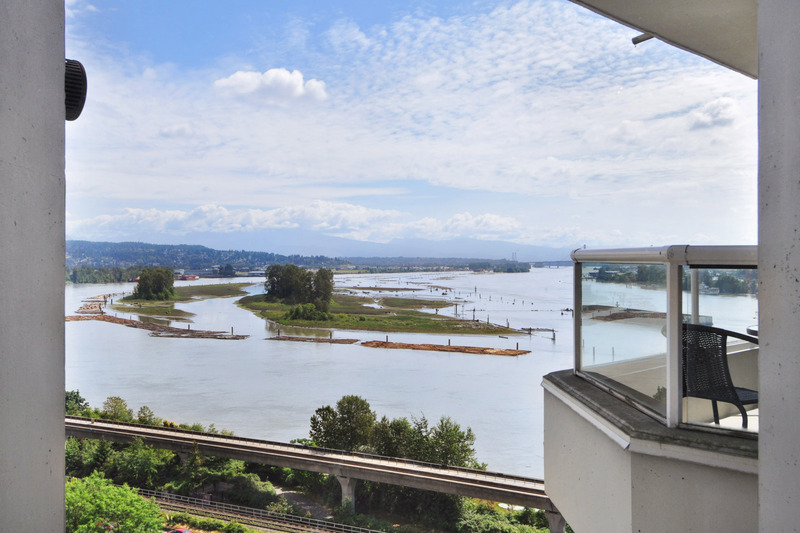 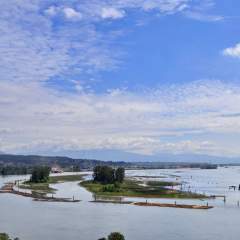 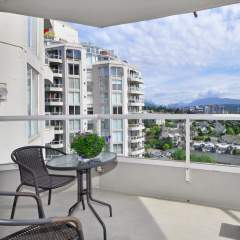 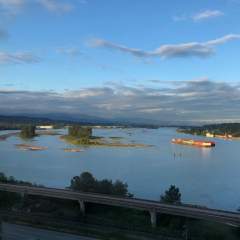 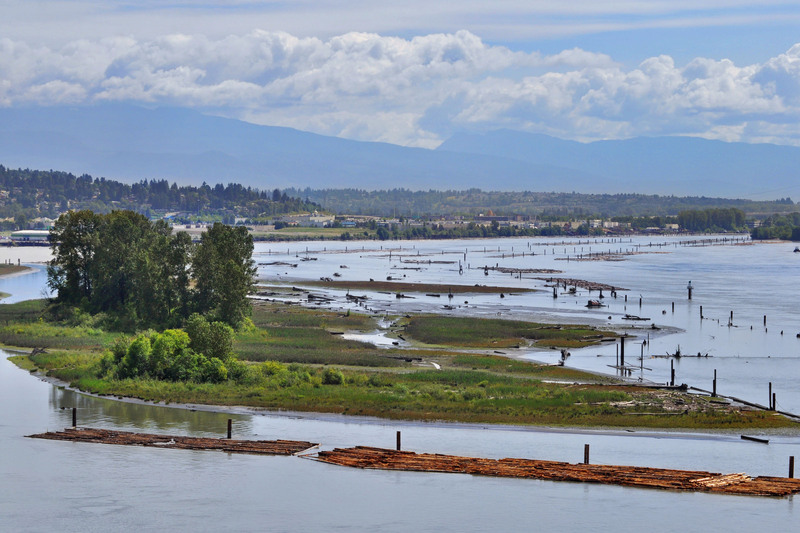 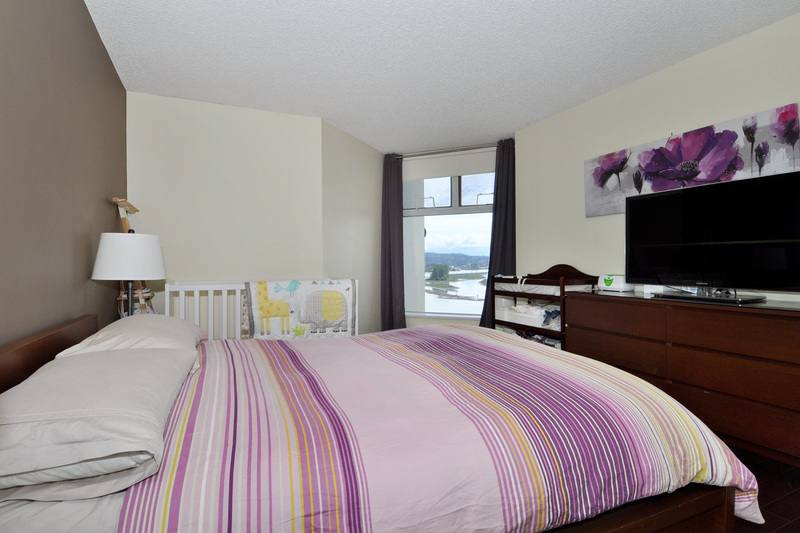 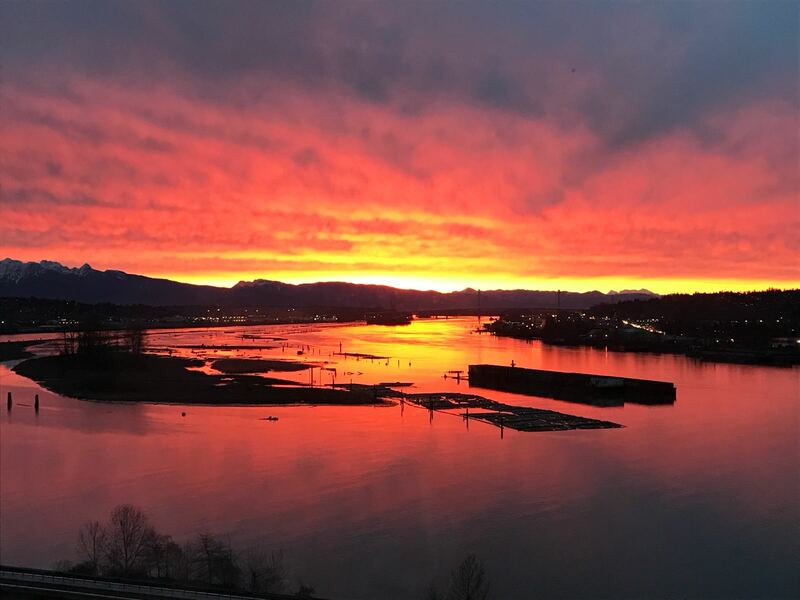 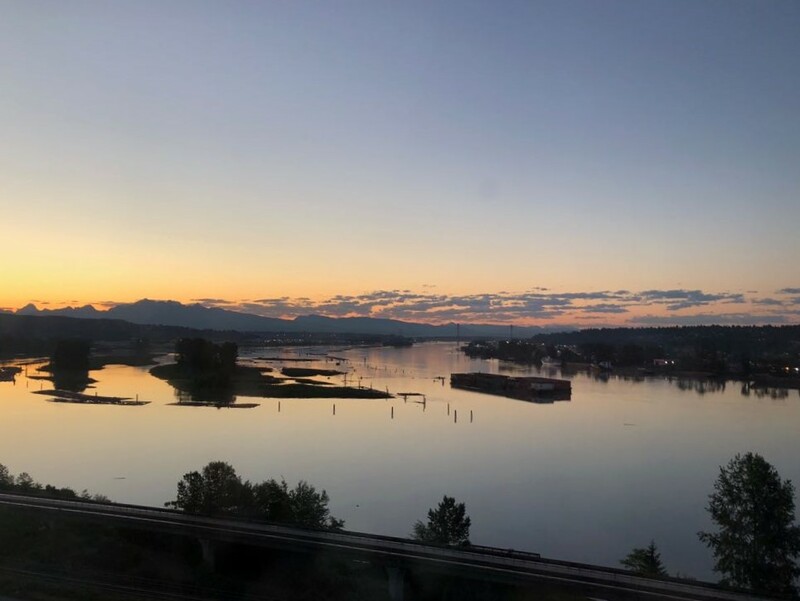 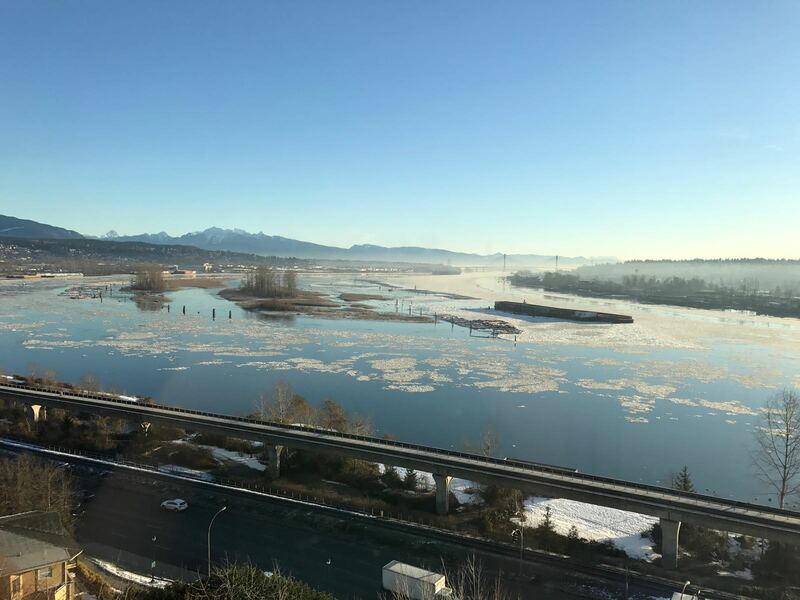 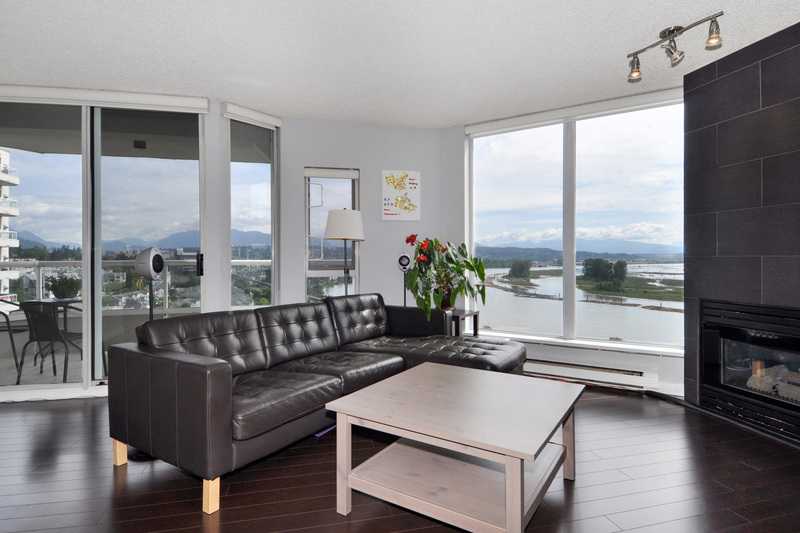 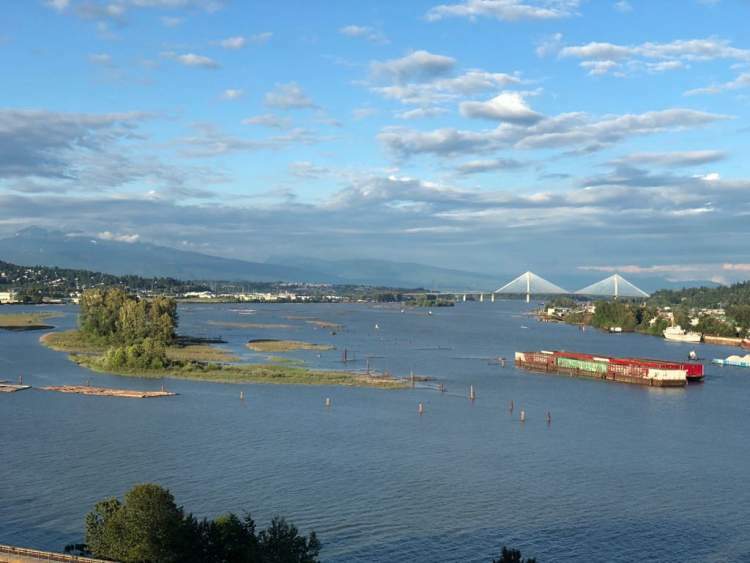 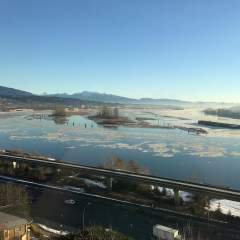 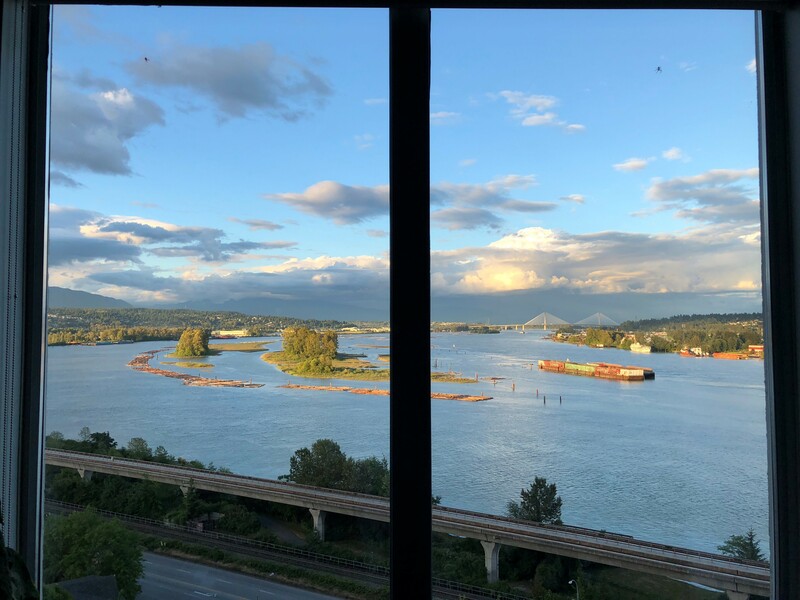 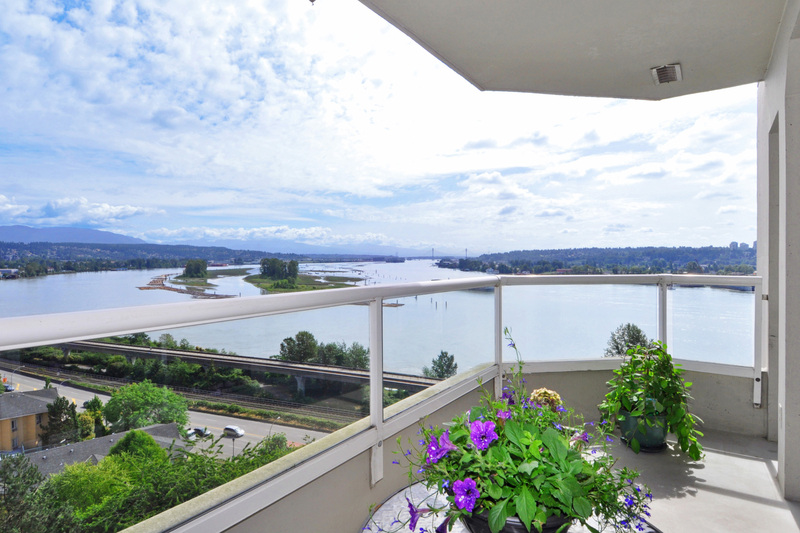 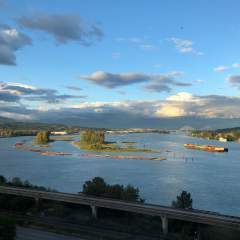 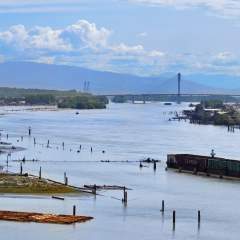 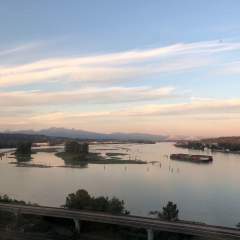 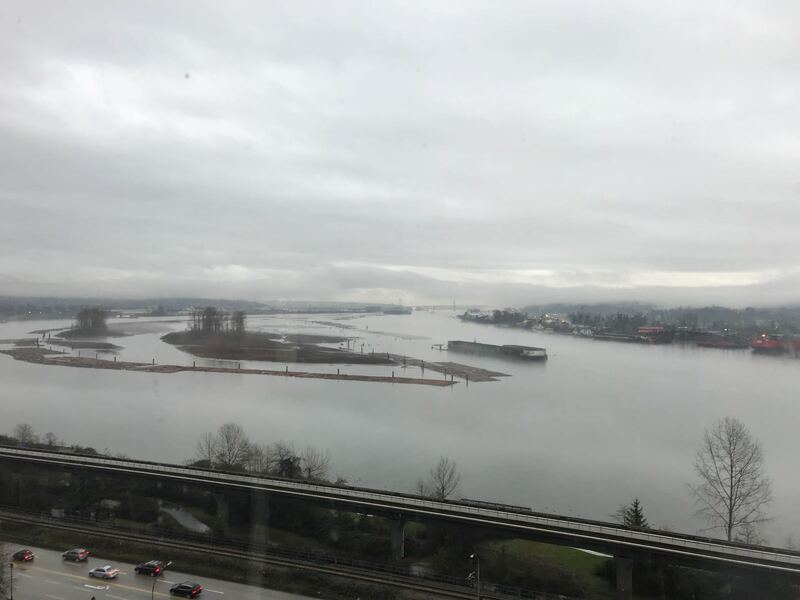 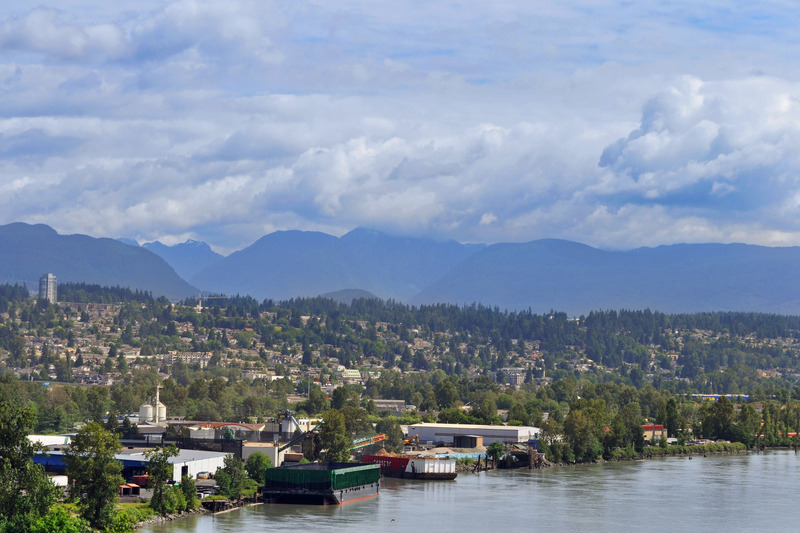 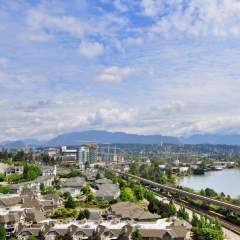 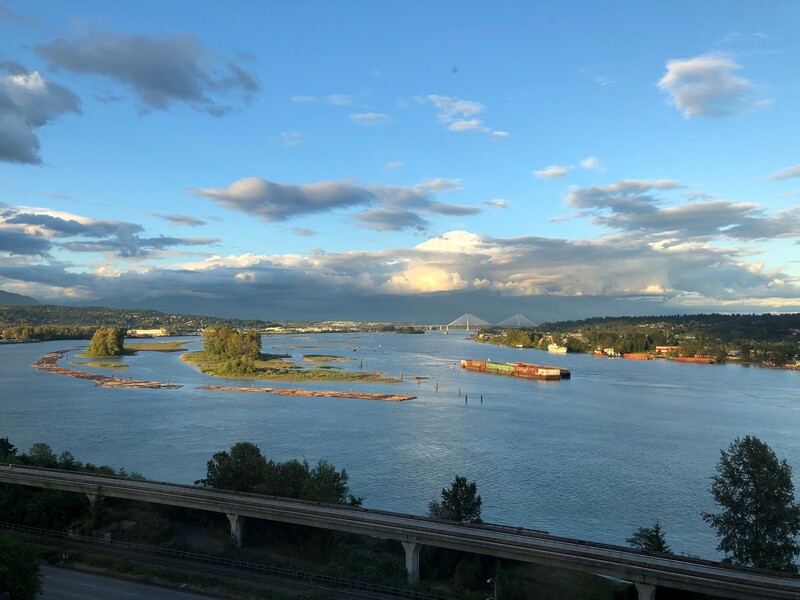 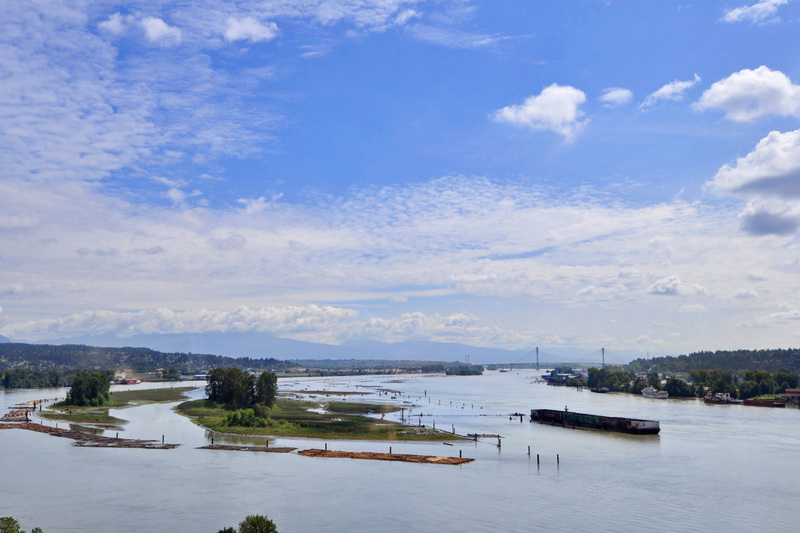 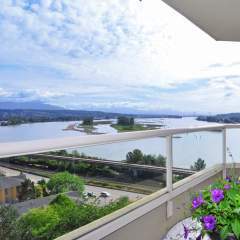 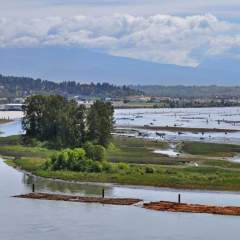 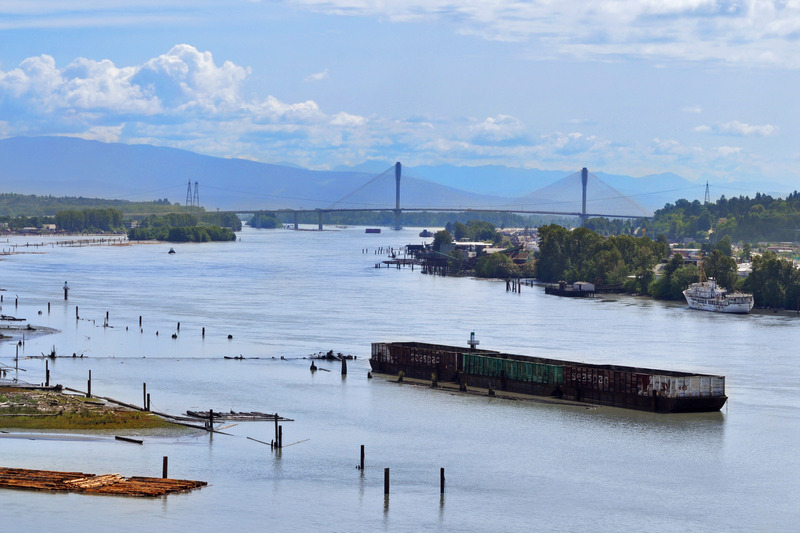 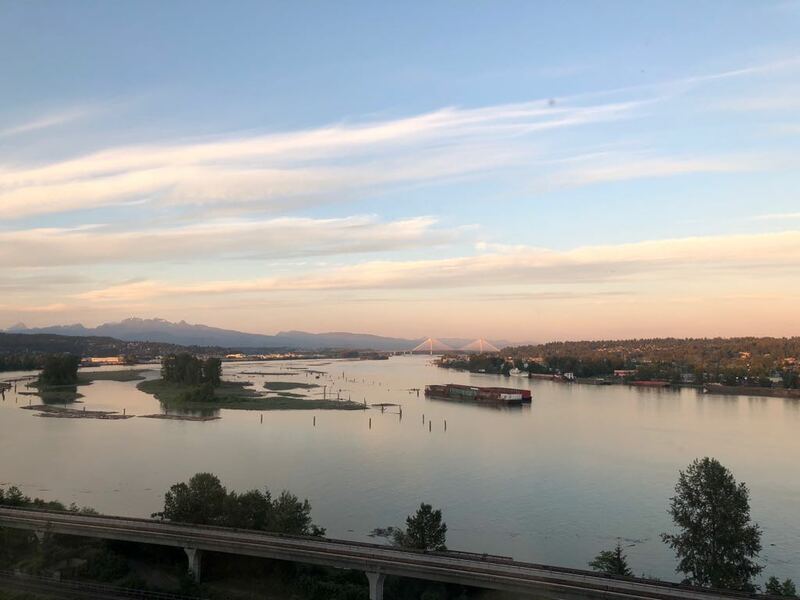 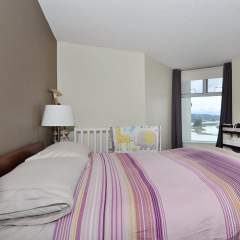 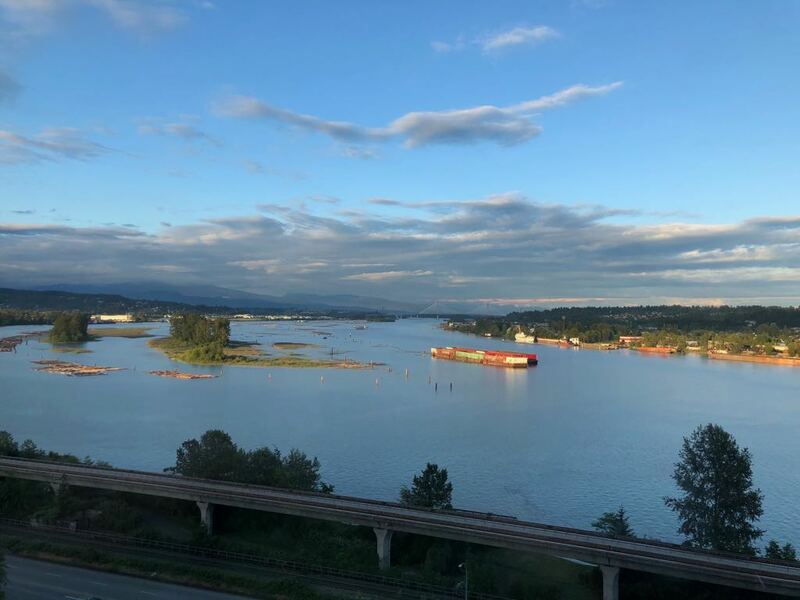 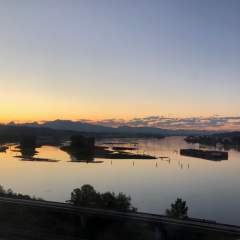 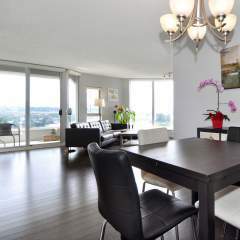 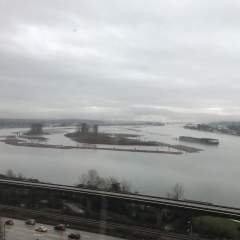 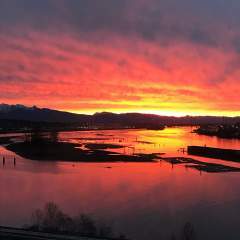 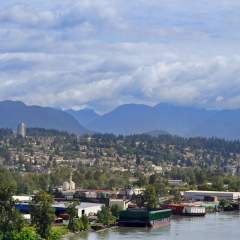 South-east facing corner unit with unobstructed VIEWS of the Fraser River & North Shore Mountains! 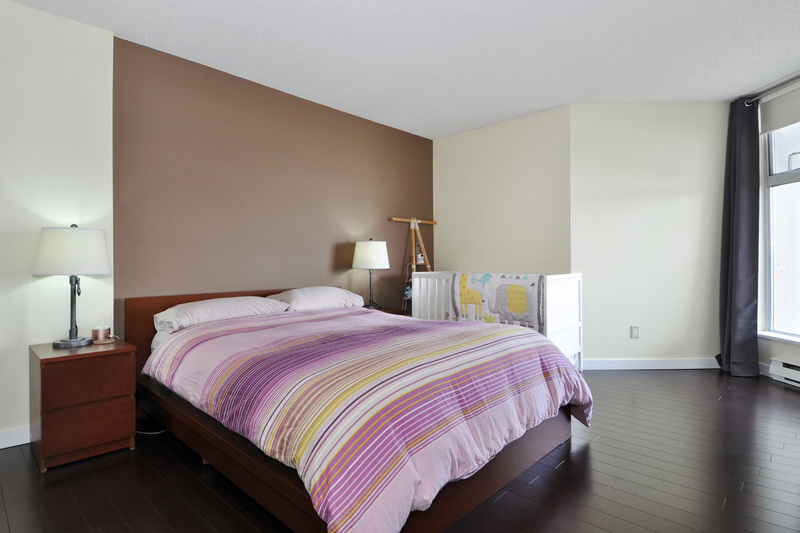 This renovated 1,116 SF suite has 2 bedrooms, 2 bathrooms. 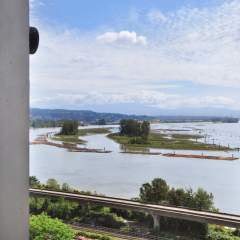 It is the Bosa-built Palace Quay. 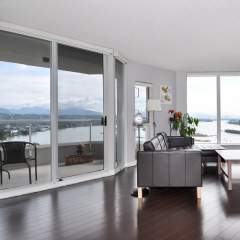 The open floor plan allows for views from every room! 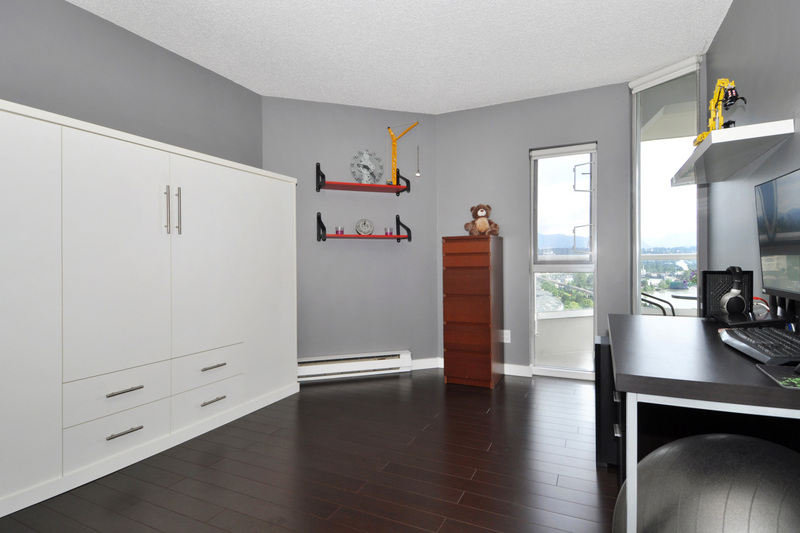 Many updates in this suite include: laminate flooring throughout. 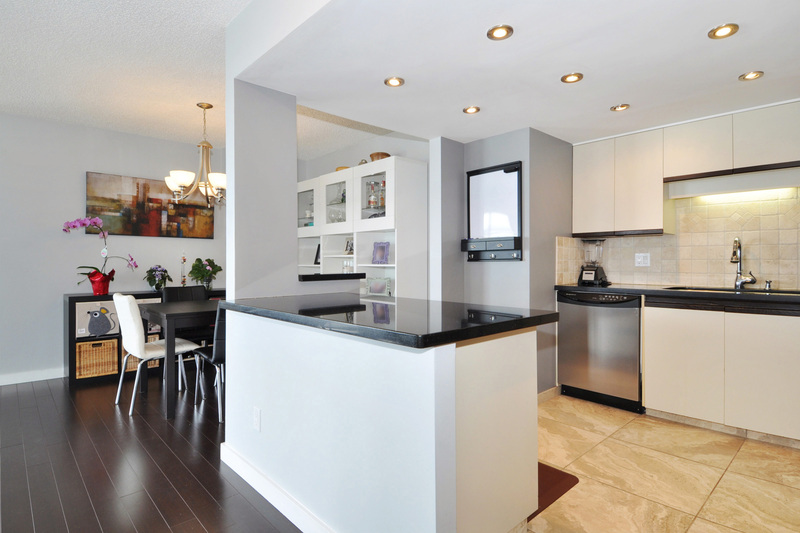 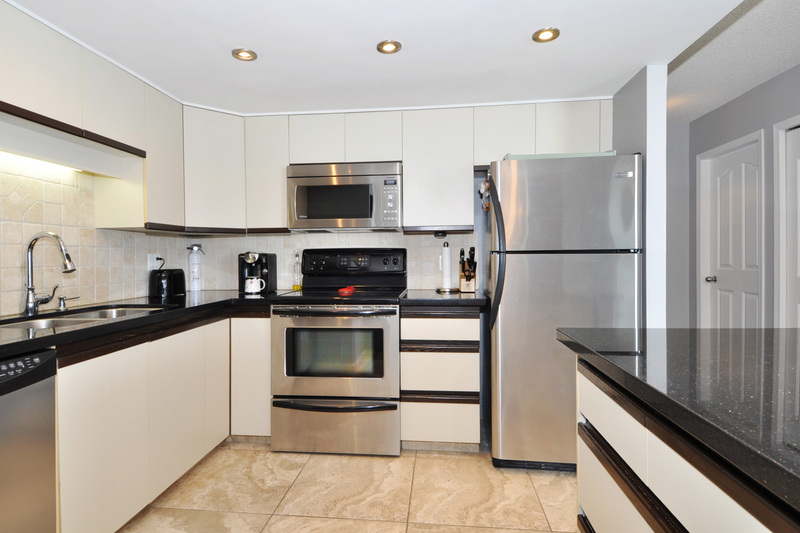 The open kitchen has an island, recessed lighting & updated lighting fixtures. 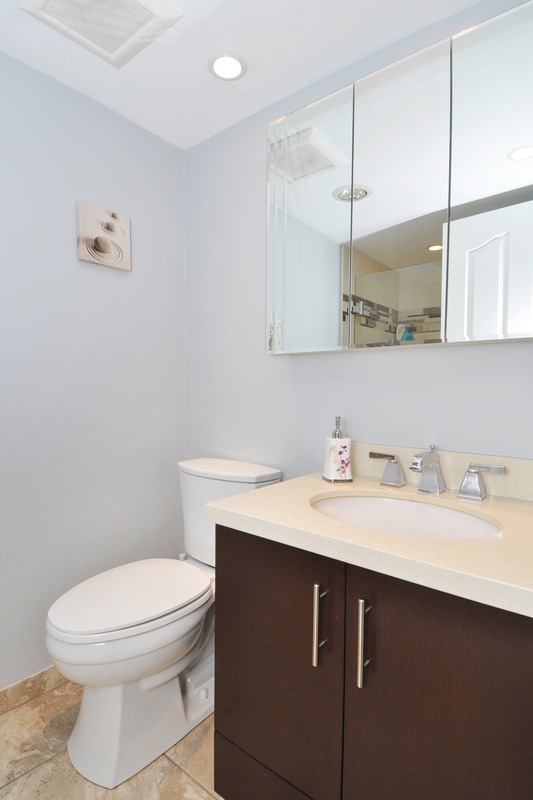 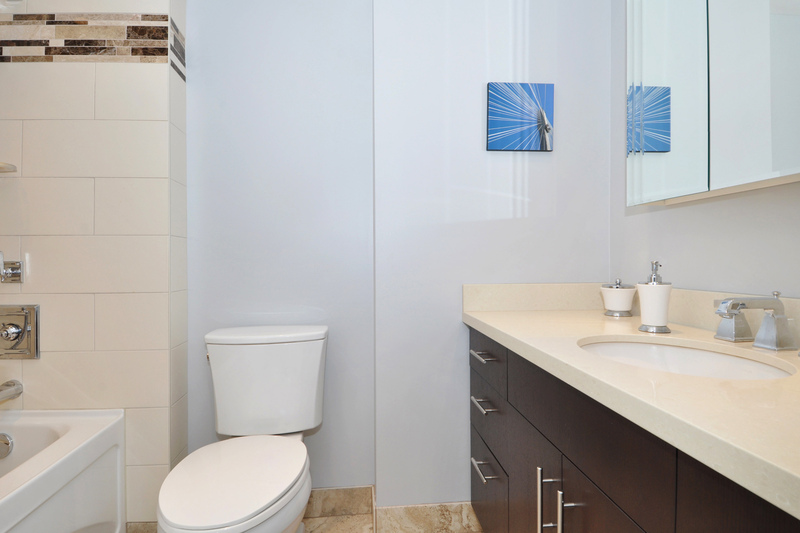 Both bathrooms were renovated with in-floor heating. 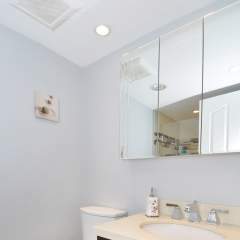 New large tile flooring in foyer, kitchen & bathrooms. 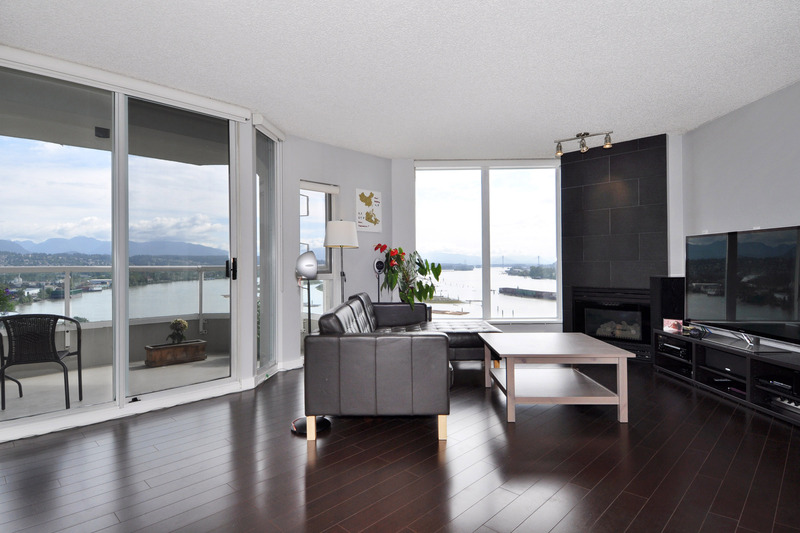 Black slate fireplace. 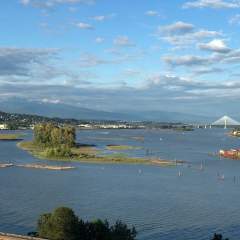 2010 roof. 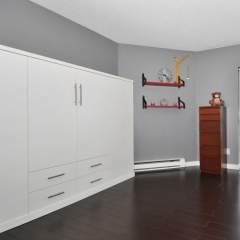 Not an update but there is a convenient garbage chute! 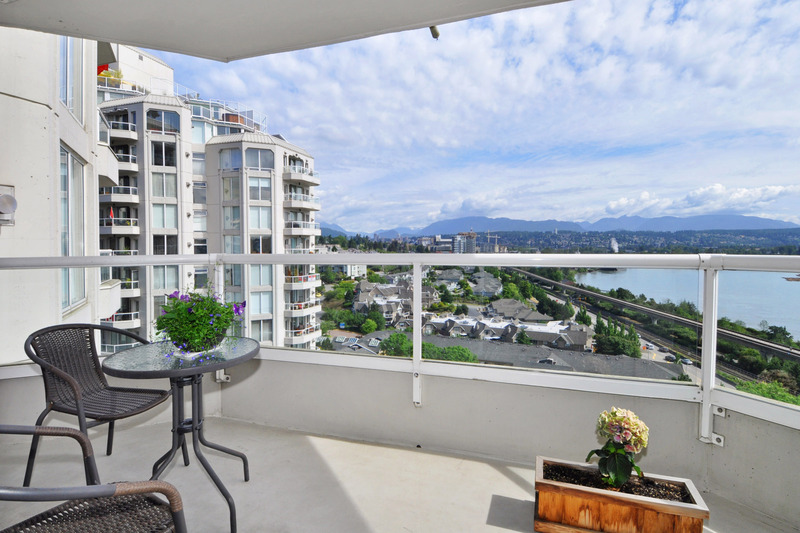 This is a well maintained building with a pro-active strata. 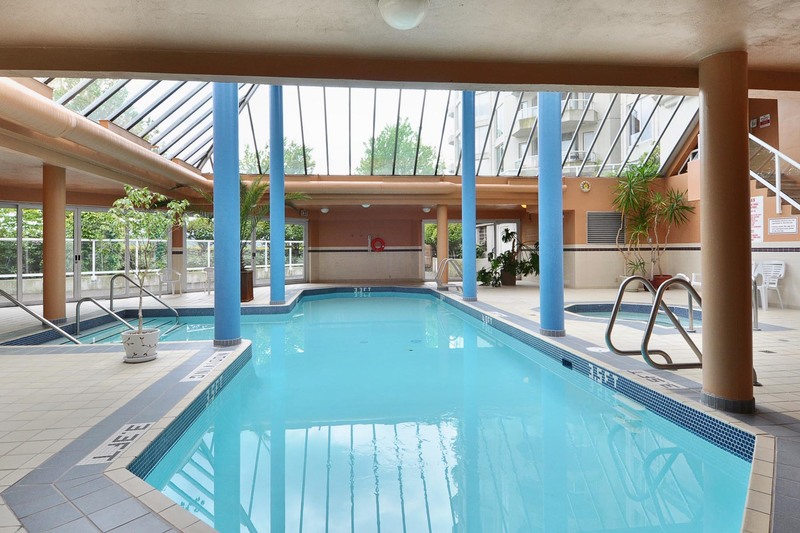 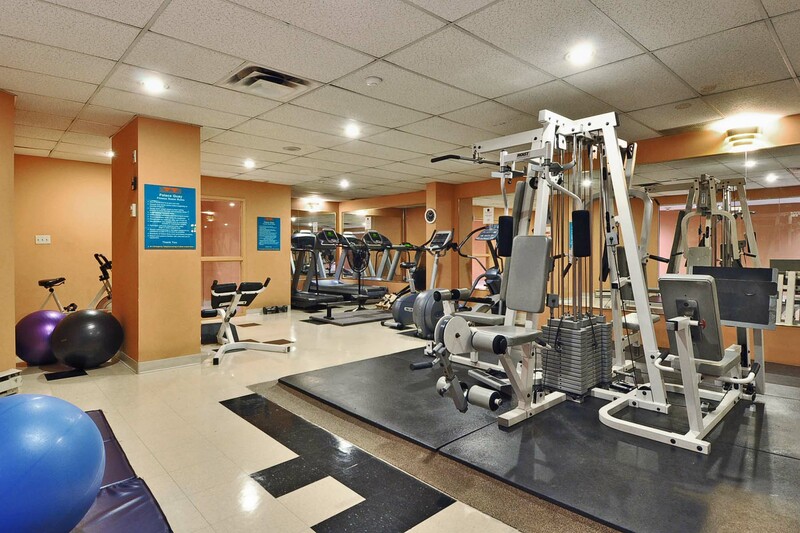 There are great amenities: indoor pool, hot tub, games room, party room & gym! 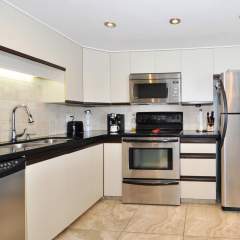 Central location close to so much! 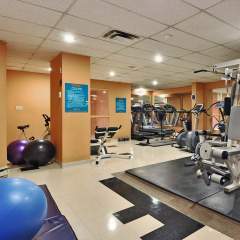 The Royal Columbian Hospital, Centennial Community Centre, transit, restaurants & shops. 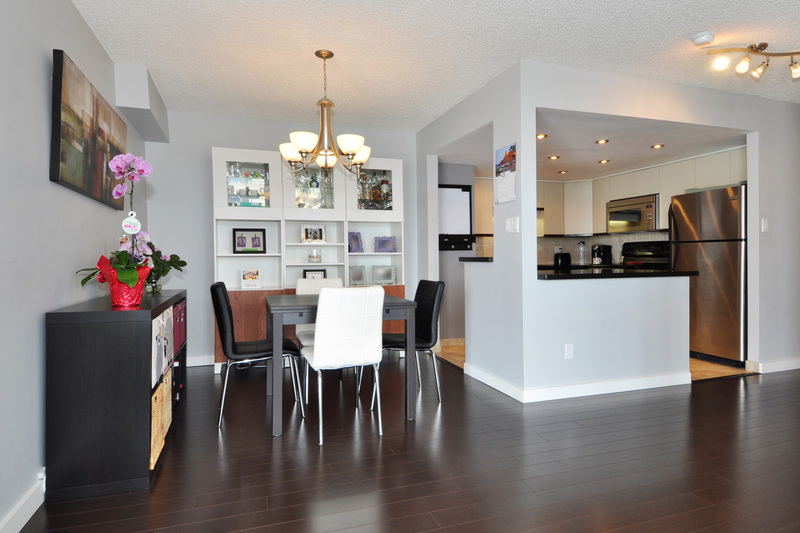 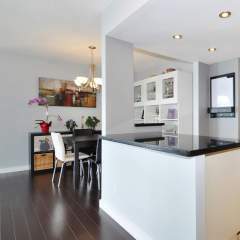 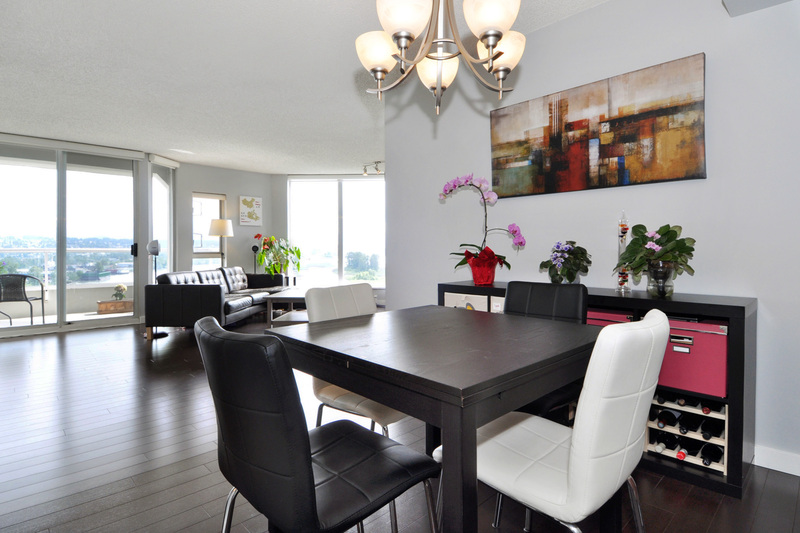 Steps to Glenbrook Ravine Park & walking distance to Queens Park. 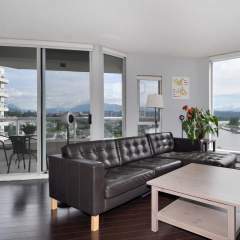 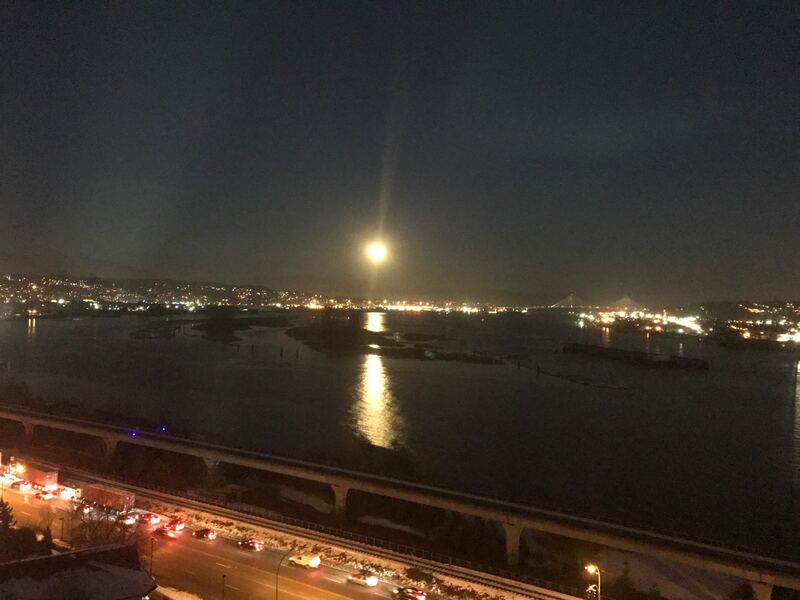 This property SOLD on November 7, 2018 for Call for details 604 313 7280. 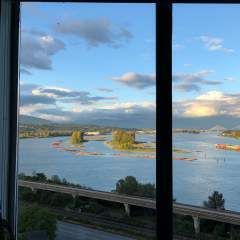 Age at List Date: 27 yrs.